JEE Main Exam Pattern 2020 will be conducted in two papers, it includes Paper 1 for engineering courses (B.E. /B.Tech) and Paper 2 for architecture courses (B.Arch. /B. Planning). JEE Main Exam is a national level examination. This exam is conducted in online & offline mode. Through this article we are providing the complete information about JEE Main Exam Pattern 2020. Joint Entrance Exam will be released by the National Testing Agency (NTA). We have tried to bring all the details of the exam in highlight so that students can easily crack the exam with high scores. Here are the details of the JEE Main Paper 1 and Paper 2 Exam Pattern for 2020 . The Paper 1 of JEE Main has opened admission for the students who are pursuing undergraduate engineering courses. JEE Main Paper 1 includes the questions from subjects like chemistry, physics and mathematics. It includes 90 objective type questions. Each question carries equal marks. In total 30 questions are there from each subject. The duration of exam will be 3 hours and 4 hours are allotted for disabled candidates. The mode of exam for JEE Main Paper 1 is online and offline also. Students can appear in the examination through CBT or PBT mode. The question paper medium for JEE Main Paper 1 is English and Hindi. Students who are filling the centres in Gujarat, Daman & Diu and Dadra and Nagar Havel, than they have the option of selecting the question paper in English, Hindi or Gujarati medium. Each correct question carries 4 marks. 1/4 negative marking will be given for every incorrect answer which means 1 marks will be deducted for each incorrect answer. The Paper 2 of JEE Main 2020 has opened admission for the students who are pursuing undergraduate architecture courses. JEE Main Paper 2 includes the questions from subjects like mathematics, aptitude test and drawing test. It includes 50 questions for aptitude test, 2 questions for drawing and 30 questions from mathematics. The duration of exam will be 3 hours and 4 hours are allotted for 40% disabled candidates. The mode of exam for JEE Main Paper 2 is offline only. No online option is available for this paper. 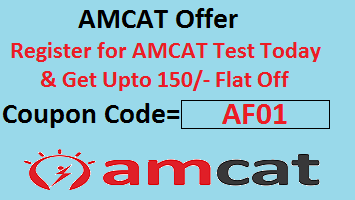 Each objective type question carries 4 marks for correct answer and 2 drawing questions carries 70 marks. 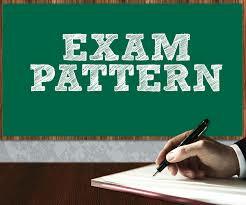 We have made all possible ways to help the students by presenting JEE Main Exam Pattern 2020. Through our article we promise to present the complete information for our inspiring candidates so that they can clear the exam easily.